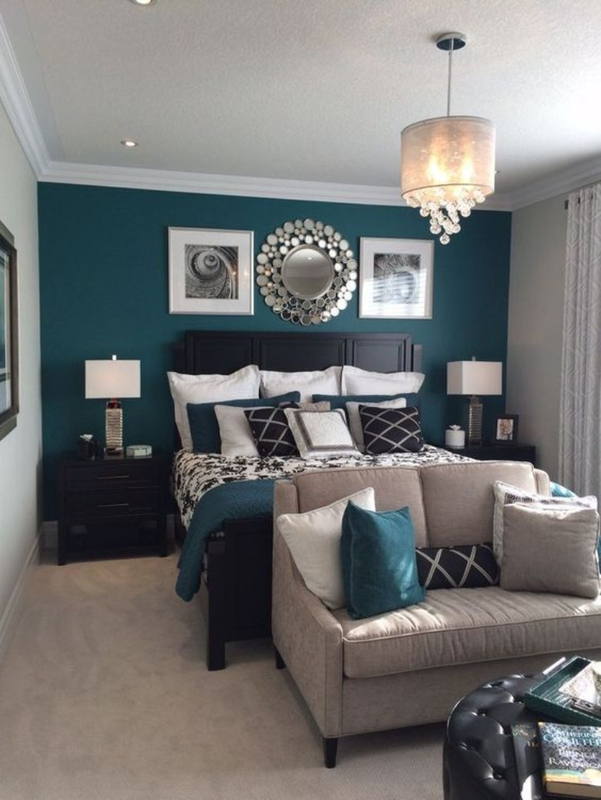 Don’t be afraid to design with a strong, contrasting color concept. You can balance the look by sticking to neutrals on the floor and keeping a limited number of colors in your pallet. The one thing you must decide from the beginning is how you want to feel in the room. If you want to encourage energy, be bolder with color, patterns and contrast. If you want to promote nothing but sleep and relaxation, you should use more subdued colors and softer patterns with less contrast. 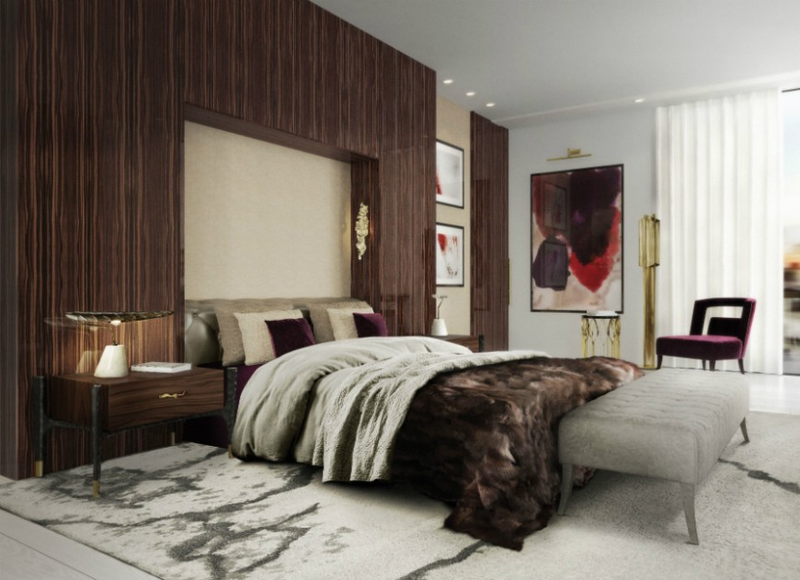 Looking for an immediate touch of Hollywood glamour for your bedroom’s interior design? Then hang a chandelier over your bed. Whether it’s glass, metal, fabric, or a combination thereof, the result is the same – pure glamour. There are many ways to make your bedroom into a luxurious oasis, but only you know what will click to make it just right! Layered plush bedding, Custom window treatments, contemporary furniture and accents all combine to create the perfect space made just for you! This entry was posted in Interior Design, Products and tagged bold pattern, brilliant chandeliers, Contemporary Drapes, CONTEMPORARY MASTER BEDROOMS, custom drapes and shades, gorgeous throw rugs, interior design tips, learn about interior design, Luxury bedrooms, MODERN MASTER BEDROOM, PERFECT LUXURY BEDROOM, posh custom pillows, Strong color, the ultimate luxury bedroom. Bookmark the permalink.